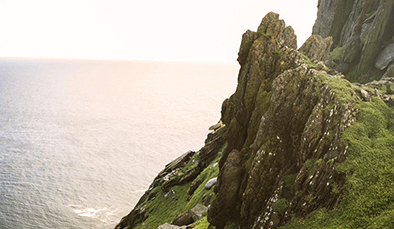 Take the Wild Atlantic Way down the breathtaking coast of Ireland and uncover the unique design skills and techniques of local craftsmen. The craft scene in Ireland is both vibrant and dynamic, offering a range of different skills from weaving and pottery to glass blowing and woodwork. Discover the cultural traditions that have been passed down through the generations and see how some of the island’s oldest creative techniques are used today. Look out for the small studios dotted along the West Coast and see where they find inspiration. 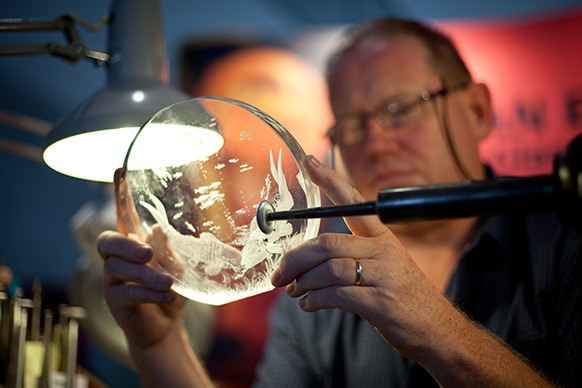 With local talent and a rich heritage, Ireland really is the place to experience authentic craft and excellent design. 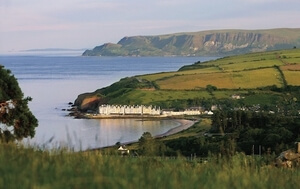 Drive down the Wild Atlantic Way and stop off at rural towns and villages. 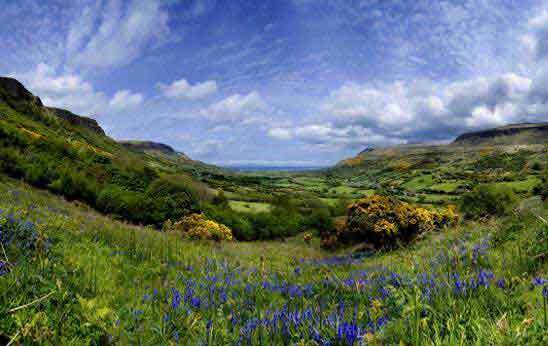 See the locals at work, be inspired by the scenery and try a little Irish craft for yourself. With 2015 being the Year of Irish Design, there are lots of workshops and events happening up and down the country. 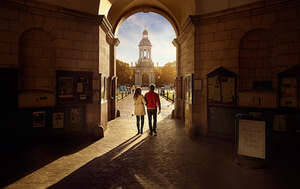 So why not visit Ireland this year and explore its creative heritage along the way? See how Donegal’s sheep and wild flowers are used to create stylish tweed that’s strong enough for the Irish weather and cool enough for the catwalk. 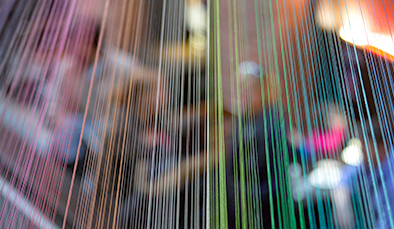 For centuries weaving and knitting have been an important part of Ireland’s economy and to this day, local tweed and knitwear have an international reputation for quality, style and tradition. 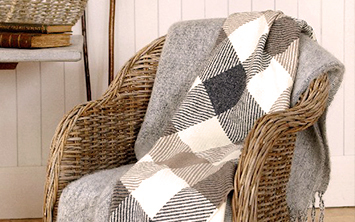 Discover hand-weaving in Donegal – the traditional skill that has been passed down through many generations. Walking the hills you’ll spot the sheep that provide the wool and the blackberries, gorse and moss that make up the colourful dyes. 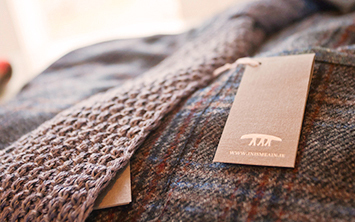 The local materials are what make the fabric unique to the area, so if you’re passing by, be sure to pick up some original Donegal Tweed. Recognisable for its plain cloth pattern and woven yarn, its heathered effect is a perfect reflection of its natural surrounding landscapes. 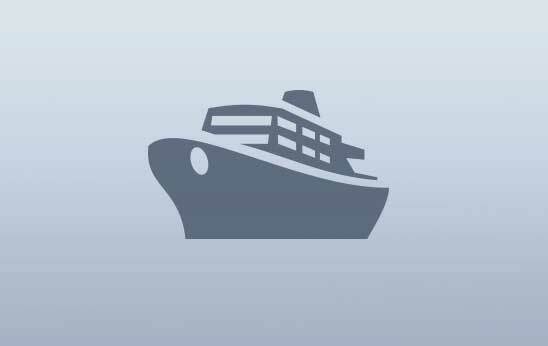 To see this craft in action visit Eddie Doherty in the small village of Ardara, County Donegal. Eddie is one of Ireland’s last independent handloom weavers and uses local wool to produce traditional tweed. His shop is a treasure of colour and texture and the best place to pick up an authentic Irish rug, cap or cushion. When you’re there, be sure to poke your head round to the back of the shop to see the man at work. 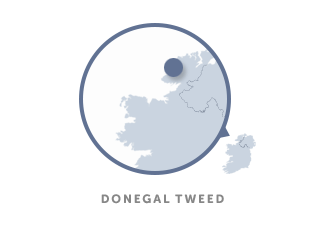 When you buy a yard of Donegal tweed, it's not just a yard, it's a lot of Irish history you're buying. If you like the idea of traditional tweed with a contemporary twist, head to the Donegal Craft Village where you can see the handy work of Clare O’Presco. Clare’s vision is to create a modern version of Donegal Tweed using traditional methods and local yarns. Renowned for her vibrant use of colour, Clare’s textiles are knotted completely by hand, ensuring every piece is unique. So whether you fancy a coaster set, a handbag or a little toy frog, Clare’s hand-made tweed is the perfect gift from Ireland. Feel the quality of Inis Meain luxury knitwear, inspired by the rugged outdoor lifestyle of the Aran Islands. Tour the historic mill where you can see the design and craftsmanship that goes into every product. 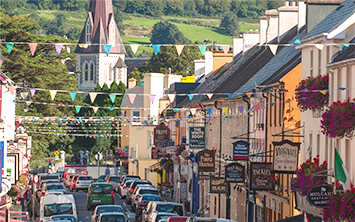 Try your hand at lacemaking at the Kenmare Lace Festival and get involved with workshops, fashions shows and events. Learn how Ireland’s ancestors used local clay to waterproof their cottages and see how this influenced the country’s reputation for quality ceramics. Irish pottery has evolved over time. As much an art form as an industry, manufacturers continue to create traditional pieces that reflect the heritage of the land. In 1849 John Caldwell Bloomfield inherited the village of Belleek in County Fermanagh. Curious of the clay finish he saw his tenants apply to their walls, he carried out a geological survey of the land. Learning of Sligo’s rich minerals and feldspar deposits he set up a ceramics company in 1859, Belleek Pottery. 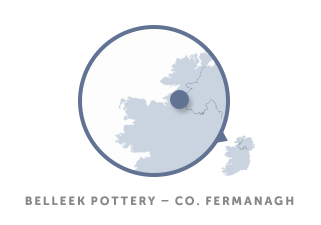 Famous for its thin porcelain and sparkling glaze, Belleek Pottery is widely considered to exemplify Irish craftsmanship and skill. Recognised as a symbol of high quality, Belleek Pottery is resistant to cracking due to its finish in a special fusing oven. The pottery is nestled on the banks of the River Erne and the floral inspiration behind the ceramics can be found in surrounding gardens. Belleek is one of Ireland’s most popular visitor attractions, just off the Wild Atlantic Way and the factory continues to run today. Take a guided tour behind the scenes and see the pottery process from mould making to kiln firing. Meet the craftsmen and watch carefully as they paint delicate flowers, petal by petal – you never know, you might be asked to paint a little yourself. Browse through the museum, relax in the tearooms and treat yourself to the most beautiful gifts in the showroom. Living in the rugged North West of Ireland it is impossible to deny ones relationship with nature… from this come a steady steam of inspiration. If you’re feeling inspired to make your own pottery, head down to County Sligo where you can get your hands dirty at Rachel Quinn’s ceramic classes. Explore your creative side and learn how to build a coil pot or a slab box. Rather see the master at work? Watch Rachel crafting her own ceramic pieces. Inspired by spectacular landscapes Rachel brings her pottery to life with quirky characters and original ideas. Discover why the Celts used glass to decorate their jewellery and see how this sparked an industry that Ireland is now famous for. Celtic craftsmen enjoyed making elaborate jewellery and finely decorating objects such as shields and swords. They worked with an array of materials such as metal and gold and introduced glass beads as a way of injecting colour into their work. In Carrick-on-Suir the Tipperary Crystal studios work with some of the finest master blowers in the world and pride themselves on their use of traditional methods. The same can be said for Galway Crystal. Located in the heart of West Ireland their products are steeped in traditional craftsmanship and are often inspired by the wild beauty of Connemara. 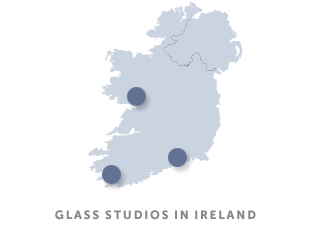 While high quality, hand-cut crystal is being made by throughout the country the name that reigns supreme is Waterford. The House of Waterford Crystal introduced some of the world’s most famous stemware patterns and to this day the factory keeps its traditions of mouth blowing and hand sculpting alive. Take a guided tour of the factory and see for yourself the craft that goes into traditional crystal production. If you fancy a go yourself head to Kerry Crafted Glass and meet Terence Mac Sweeney who has been involved in glass blowing since 1979. 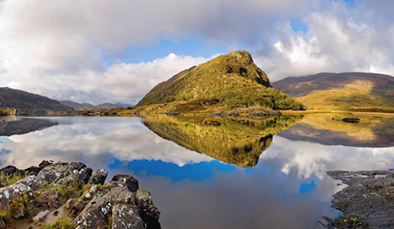 Situated in a beautiful, idyllic part of Kerry you will notice how the surrounding lakes of Killarney have inspired the colours and creation of Terence’s glass-work. 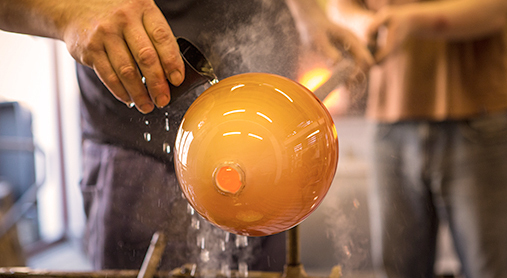 Try the ancient craft for yourself and learn how to blow your own glass bubble. Discover Ireland’s vibrant creative hub during ‘The Year of Irish Design’ in 2015. 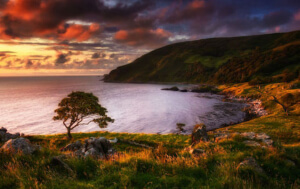 Experience Ireland’s southern coast through quaint villages and mesmerizing landscapes.